Brand: CK Products 76-3523 Units: 3 oz. jar Vegetable gums are used as a gelling agent. It thickens, binds, stabilizes and helps to increase the shelf life of food products. May be used in place of Gum Trag. 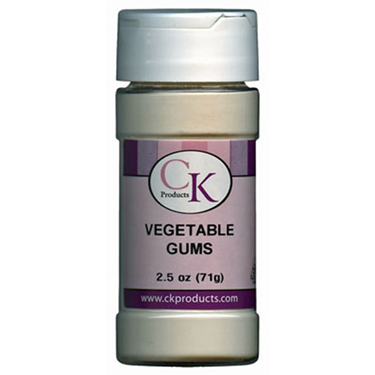 Vegetable gums are used as a gelling agent. It thickens, binds, stabilizes and helps to increase the shelf life of food products. May be used in place of Gum Trag. Ingredients: Gum Acacia, Xanthan Gum.